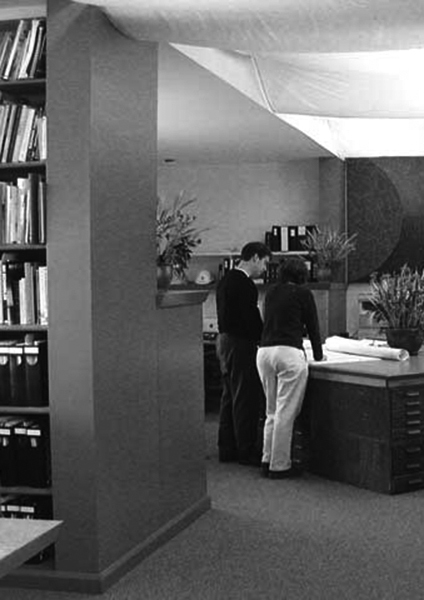 Established in 1988 our studio enjoys working in all aspects of Architecture. The firm portfolio includes a varied typology of projects each informing the other, smaller projects with larger intentions and bigger projects with personal attention to detail. The scope of work in the studio ranges from residential new construction and remodels to commercial and institutional, including religious buildings, summer camps, retail and offices. Our architecture enhances the indoor/outdoor California lifestyle guiding each project through interior design and furnishing details and outdoor landscape direction. Extensive work experience and study in Italy and Denmark along with travels through Asia and Europe have provided a rich design background that informs all of our design. Studio Bergtraun, AIA, Architects has continually strived to create environments responsive to the client’s program and budget, respectful of the surrounds in which they are sited, and attentive to the creative, functional and eco-friendly use of materials and building techniques. Keeping the firm mid-sized has allowed the studio to give personal attention to each client at the same time allowing the flexibility to jump onto pressing schedules when the situation requires. It is our belief that architecture can be a beautiful framework enhancing the lives of those who live and work within and around it.